The alarming increase in the number of pregnant women with Zika and the thousands of unconfirmed citizens with Zika as recently stated by Minister Deyalsingh and Chief Medical Officer, Dr. Clive Tilluckdharry can now only be described as an epidemic in our country. At the beginning of August there were 60 confirmed cases of pregnant women with Zika but on Thursday the Ministry of Health announced that this number has increased to 144, more than doubling the previous figure in less than three weeks. The Minister has failed terribly in his implementation of Zika mitigation strategies to curb its spread. A few months ago the Minister announced island wide clean-ups and boasted of funding the exercise through collaboration with the Regional Corporations and Boroughs. To date many of the Corporations have not received this funding for the clean-up campaigns as promised by the Minister and have had to rely on the little resources they currently receive from the Ministry of Local Government. 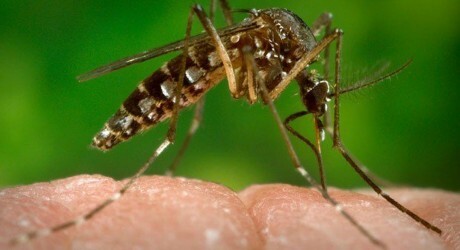 The World Health Organization has laid down preventative guidelines to deal with curbing the spread of the Zika virus together with a public awareness and education program. So far as a population the assumption is that the Ministry of Health lead by an incompetent Minister is not doing enough to prevent the spread of the Zika virus. It is in this vein that I call on the Minister of Health to engage in preventative strategies by collaborating with other agencies to initiate a serious island-wide clean-up, to expand the remit of testing for the virus to not just high risk individuals, to initiate education and public awareness campaigns at schools, public health institutions and communities.